I just had to come up with a keto cream of wheat recipe. This warms you from the inside out. I love eggs, but I sometimes need other breakfast ideas. 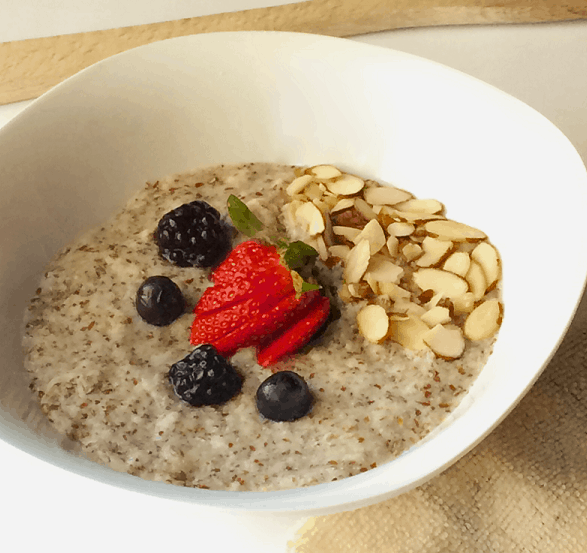 This recipe is so good and it satisfies that cream of wheat craving without going off plan. This breakfast so super fast to make it can be enjoyed any day of the week. 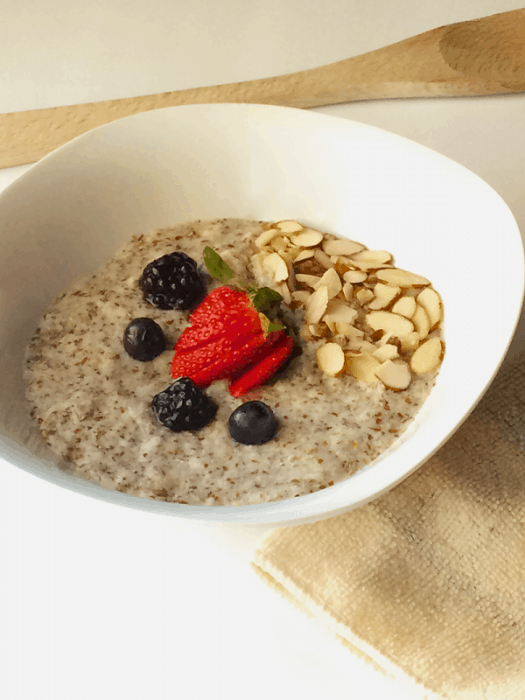 Before going keto I used to have cereal or cream of wheat just about every day. So, when I went keto I had to find some way to still have that yummy cream of wheat kind of breakfast and this does it for me. I don’t miss the sugar-laden cereals at all, but I did miss the warm cereals like this. Now, I can have it without all the carbs. You can add berries, unsweetened coconut shavings, nuts, extracts, spices, etc. Be creative and make your favorites. I really like pumpkin pie spice or berries and almond slivers. 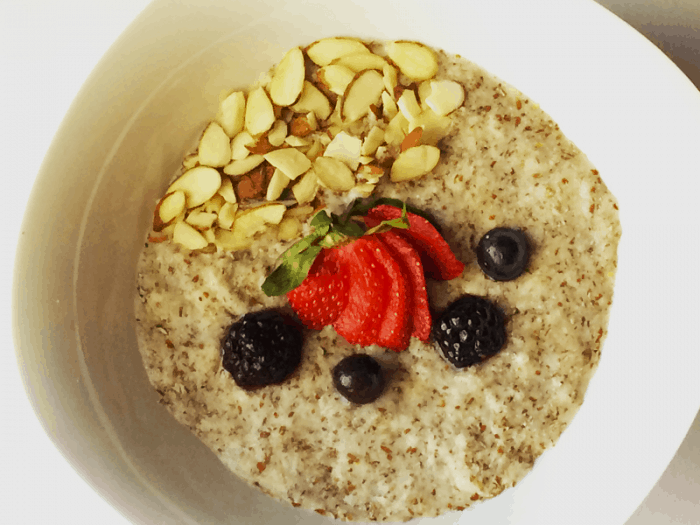 The nutrition is just for the cream of wheat base, not with any additions. Be sure to count your carbs from any additions you add. Place water in a saucepan and place over medium-high heat. Add coconut flour and flaxseed. Whisk together and cook for 1-2 minutes until thickened. Add butter and/or cream (nutrition is only for the base cream of wheat if you add anything to it, please calculate it into your macros). Place in a bowl with add-ins of your choice. Enjoy hot. I can’t wait to try this. I have been begging for creamnof wheat for weeks. Thanks! I made those last night. It’s pretty darn close and definitely delish! I’m a Cream Of Wheat connoisseur, having eaten 1000’s of bowls since I was a baby. If I wasn’t doing intermittent fasting, I’d be making another bowl right now! Thanks for helping me enjoy my favorite hot cereal again! Glad you liked it. It is one of my favorites as well. Can you use almond flour instead of coconut flour?